This appears to be a very old, very ornately bound tome of extremely high quality. It is leather bound with claspings of gold and bronze and will most definitely radiate strong magic if detected. Origins of the Book of Vael Turog are unknown. 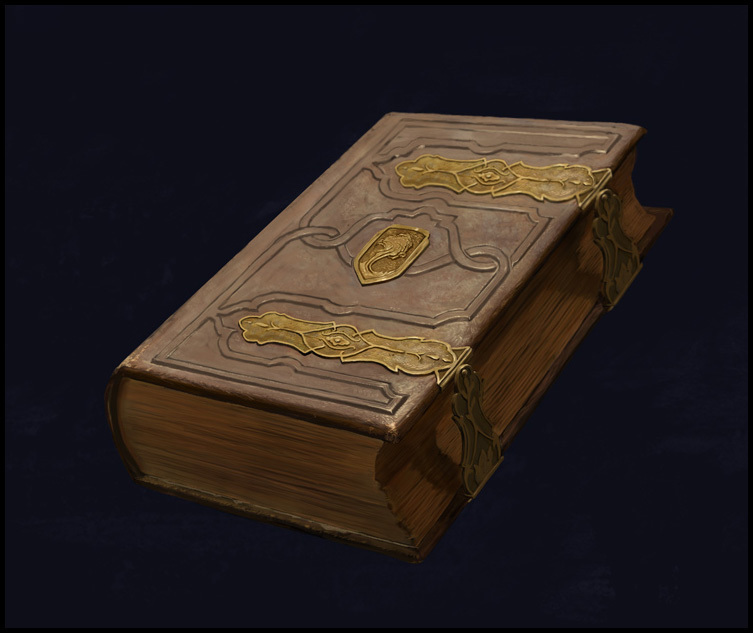 There are vague notes about it in some old Caelmaran writings and it was said to have been used by Arcanists in the Citadel of its name during the time of the Black Revolt, but it is also believed that the book, although used at that time, had its origins even earlier, dating its creation way back to ancient Ankeshelian times. The Book of Vael Turog was retrieved from the TOMB OF QORAZ on the Isle of Karn’lothra by SCHMIDT HAPPENS and given to Simez Rothgazzi of BARSELLA.